Next Stop: Carly’s Bat Mitzvah! We enjoyed celebrating Carly’s love of cruising around the Caribbean with her and her family earlier this spring. The celebrating began when Carly became a Bat Mitzvah at Temple Emanu-El of New York surrounded by her family, including her 90-year-old grandfather who joined in on the festivities honoring his granddaughter. Carly and her friends love rainbow bagels!!!! The party continued at a bash at the Hotel Eventi. There were lots of special touches that brought the cruising theme to life courtesy of Frank of House of Flowers such as live fish, palm trees, and a floor display of sand with Carly’s name engraved! Each centerpiece was also a different port and Island that cruises stop at! Scott of Pure Energy brought the entire cruise ship on the deck for loads of FUN!!! We also love what this family did with Sarah’s studio shoot of Carly for photo décor! 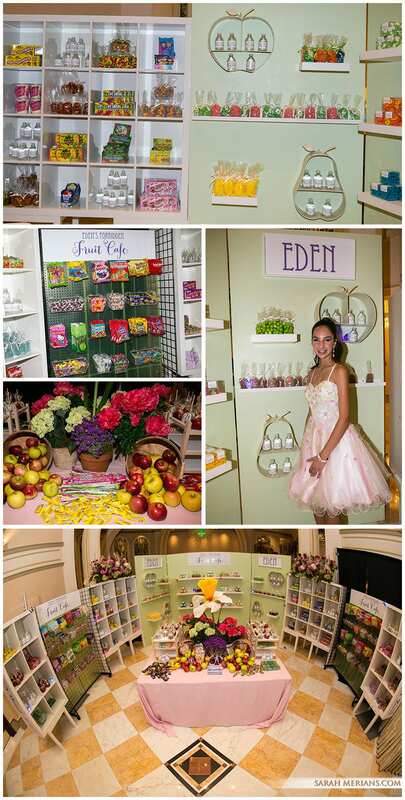 The “Garden of Eden” came to life at Eden’s Bar Mitzvah at The Grove. Eden read from the Torah at an evening Havdalah service at the venue. Guests enjoyed cocktails and conversation while Sarah took in the room, designed so gracefully by Pat Glenn Productions. It was a truly a fairy tale evening- from the colorful florals and greenery to the butterflies on the dance floor and the custom pink floral Mitzvah cake . Eden changed dresses, ending the night in a pink and white dress and posing for pictures by the “Forbidden Fruit Cafe” where guests picked up candy and snacks for the ride home. It is always great to work with Evan from E Three Productions, who provided the awesome entertainment for the evening. Mazel Tov, Eden! It was so much fun getting to know Lizzie and her family as we embarked on this Bat Mitzvah journey together! Lizzie came to our studio and met Sarah Merians for her pre-party fashion photo shoot. Lizzie tried on lots of outfits and posed for Sarah’s camera. How adorable!! We caught up with Lizzie and her family again at Congregation Kehilath Jeshurun on 85th Street here in Manhattan for a family photo session with Lizzie on the bimah before her actual Bat Mitzvah service. 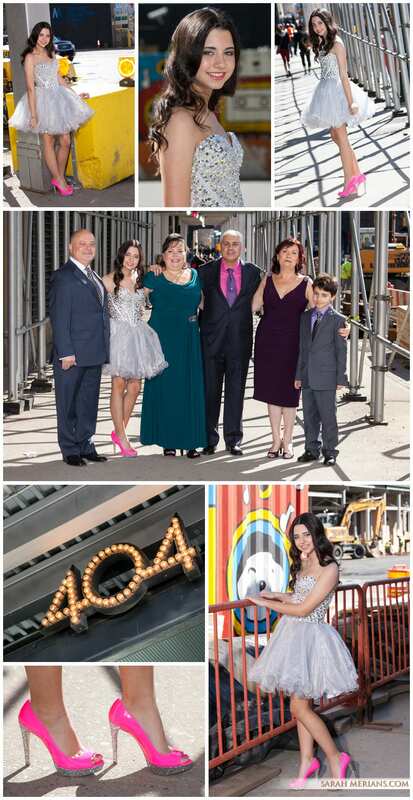 It was all glitz and glam at Lizzie’s Bat Mitzvah bash at 404 NYC. Lizzie’s theme? Pink! Right down to Lizzie’s gorgeous pink and silver sparkled heels, the pink tulips, tablecloths, napkins and candles! Event Planner Karen Brown tied all the little details together to make for a great event while Total Entertainment brought… well, the entertainment! Enjoy this collection of images from Lizzie’s Bat Mitzvah below+ a great video clip as well from the big day! Charlotte’s Bat Mitzvah festivities began at Old Westbury Hebrew Congregation where she posed for photos with Mom, Dad and her two older twin siblings! 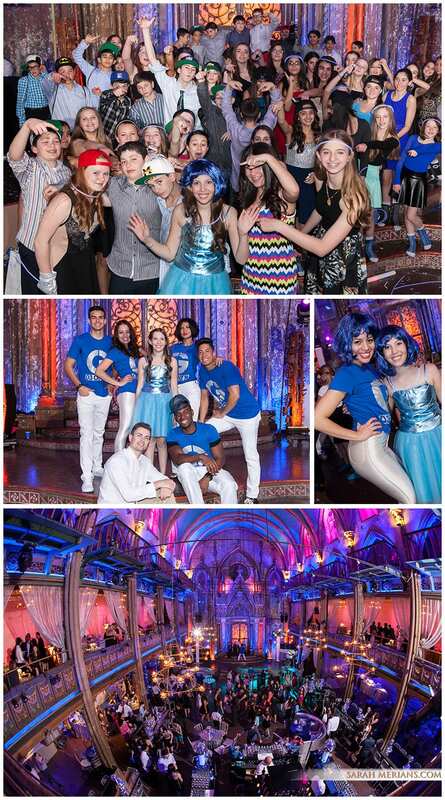 The celebration continued at Angel Orensanz, a historic landmark space here in Manhattan, where Charlotte, a vision in bright blue, partied the night away. 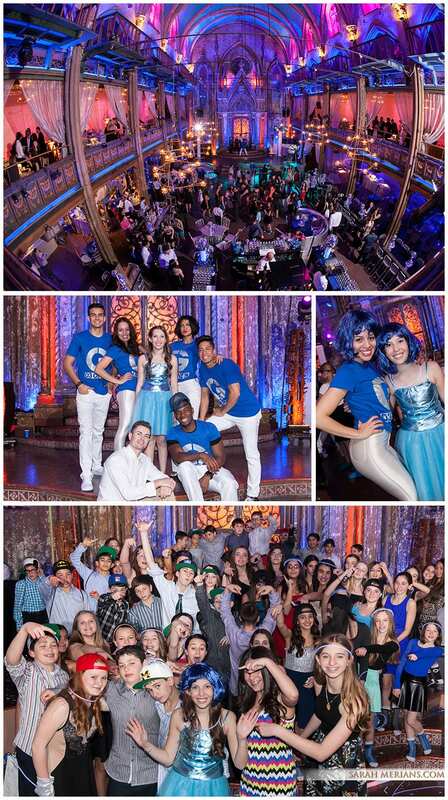 The “Charlotte in the City blue-themed” Mitzvah was coordinated and conceptualized by party planner Lisa Jaffe of Jaffe Events. Even the snow couldn’t keep friends and family away from celebrating with Charlotte. Guests got to try their hand at posing for the camera in our great photo booth with the NYC skyline in the background. Mazel Tov, Charlotte! And a Chag Sameach to all of you out there that celebrate the Passover holiday. May it be a sweet one with family. Paris, here we come! Lila is “tres chic” in Parisian-themed gear at her pre-party Bat Mitzvah photo shoot with Sarah Merians. Channeling lots of different French looks, including Coco Chanel, Lila looked divine in all of her accessories, getting ready for her fall Bat Mitzvah. We can’t wait!